Enchanted Waterfront is a family venture, principally driven by Sunil Shah, a third generation Seychellois whose family heritage in the Seychelles goes back to 1894. His late father Mr. A J Shah was a highly regarded and respected chartered accountant and financial advisor in the Seychelles who founded the accounting firm A J Shah & Associates (now BDO Associates, Seychelles) in 1980. Sunil joined the establishment after qualifying as a chartered accountant in 1988 and together the “father-and-son team” developed the practice into the leading accounting firm in the Seychelles. With a childhood interest in art, architecture and natural landscapes, Sunil is now following his passion of creating beautiful spaces to live, work and enjoy the simple pleasures of life. His landmark projects to date are The Creole Spirit and Enchanted Island Resort. The Creole Spirit, completed in 2002, is widely regarded as one of the finest commercial buildings to grace central Victoria. Sunil’s daughter, Sanjna, and his son, Vishal, both recent graduates from the University of York and Durham University respectively, have also played an active role in bringing this development to life, adding a youthful perspective to this project. Enchanted Waterfront has been designed by Mr. Tony Joseph, the founder of Stapati Architects, one of the leading architectural firms in the Indian sub-continent. Stapati’s work, which includes Enchanted Island Resort, has been recognised for its innovative and regionalistic architectural interpretations and the practice is known for its creative design solutions and attention to detail. These very attributes are exemplified by Stapati in the design of Enchanted Waterfront. The promoters’ flagship development is Enchanted Island Resort, a luxurious private-island hideaway set in the heart of Seychelles’ Sainte Anne National Marine Park and just a 10-minute boat ride from Enchanted Waterfront. The boutique island resort features 10 exclusive pool villas carefully built to showcase the island’s breathtaking natural beauty. Each villa has its own private walkway to the beach, an infinity pool, an expansive wooden decking and a charming gazebo. Operational since December 2013, this 5-star deluxe property has already welcomed several high net-worth and celebrity guests from all around the world. 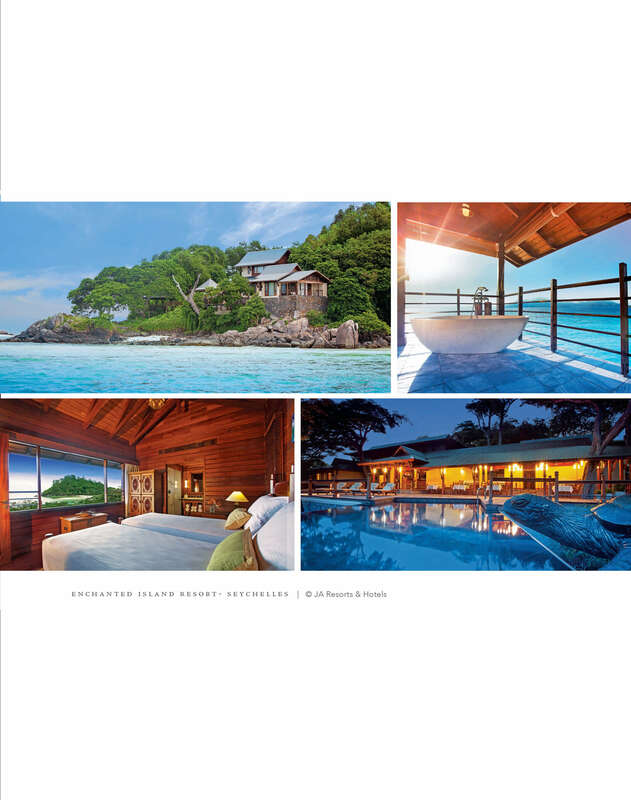 Enchanted Island Resort has been voted as Seychelles’ Leading Resort for 2017 and the Owner’s Signature Villa at the resort had also been voted as Seychelles’ Leading Luxury Hotel Villa for 2014, 2015 and 2016 at the World Travel Awards. Additionally, Enchanted Island Resort has been awarded TripAdvisor’s Certificate of Excellence highlighting the establishment’s excellent quality and heartfelt hospitality.